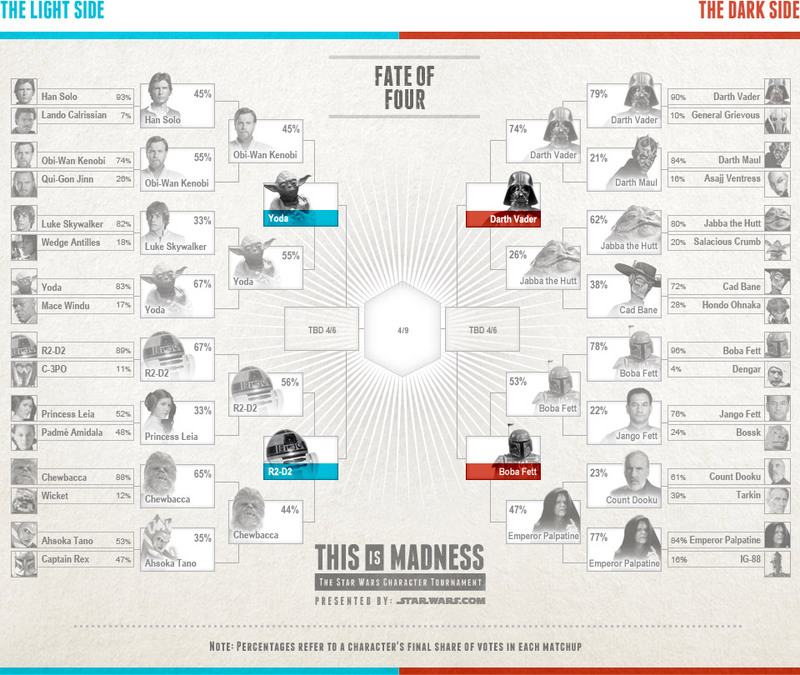 We're in last match-ups with R2-D2 vs. Yoda and Darth Vader vs. Boba Fett. The big upset for me was Yoda beating Luke in the Elite Eight. 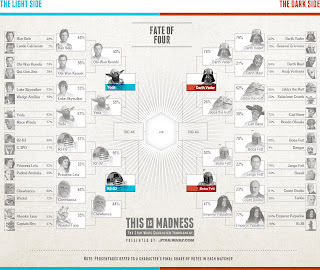 I had Luke Skywalker and Darth Vader as the final two with Luke as the winner, so that pretty much ruined my whole bracket. Who do you think will be in the final matchup? Who will win the tournament? Let us know in the comments. 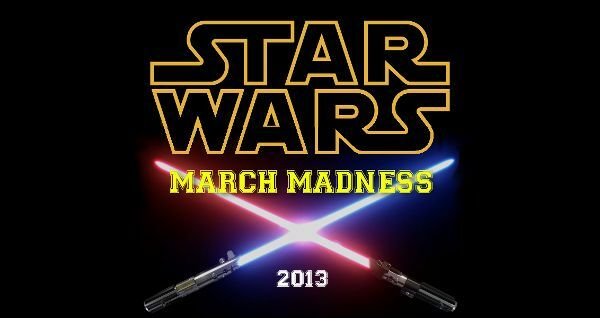 Oh boy, I'm going to have to go with Yoda too but somehow I see sneeky R2D2 pulling something out of his round hat.